More than half of our daily calories come from processed food, according to the study and we’re eating more "fake" food than real food. 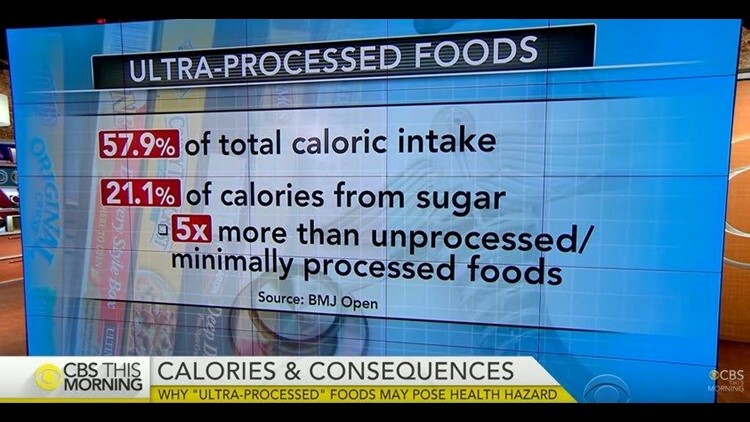 These are often used to imitate the taste, texture or other qualities of natural foods, or "to disguise undesirable qualities of the final product," lead study author Carlos Augusto Monteiro, a professor in the Department of Nutrition, School of Public Health at the University of São Paulo in Brazil, told CBS This Morning. To determine if the food you’re interested in falls under the "fake" food or "real" food category, check the ingredient list. Simple is better, and if you don’t understand the ingredients, doctors say think about avoiding that product.